That’s why I developed Sensory Bounce® Therapy. 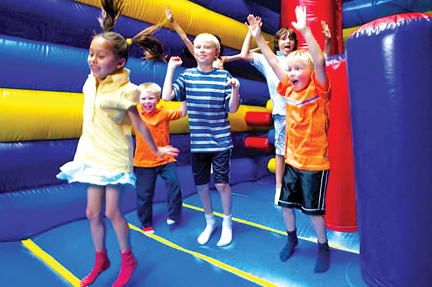 The inflatables are challenging and the environment is friendly, stimulating, and greatly appealing to children who want to be able to do what they see their peers having fun doing. An additional benefit to you is that sessions at a Sensory-Bounce®-affiliated playspace are more practical, more functional, and less costly than many other therapies.